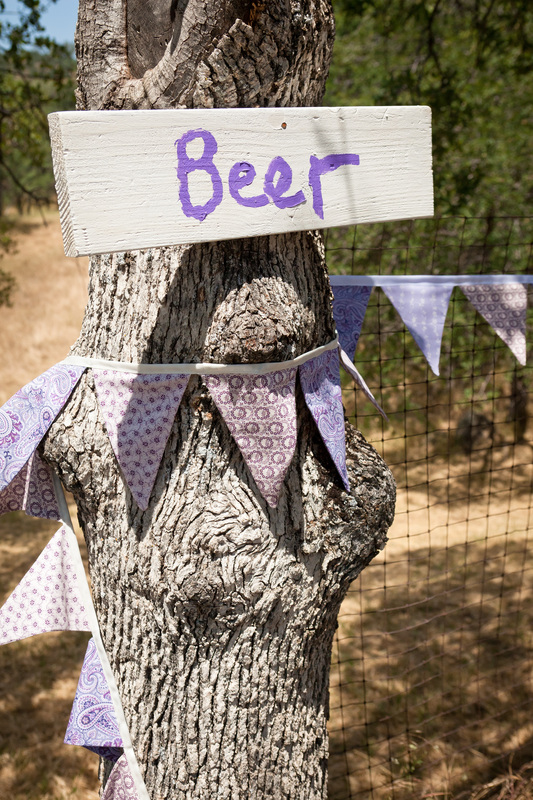 I looked around for quite a while at outdoor decorations before I decided to use bunting for my wedding. 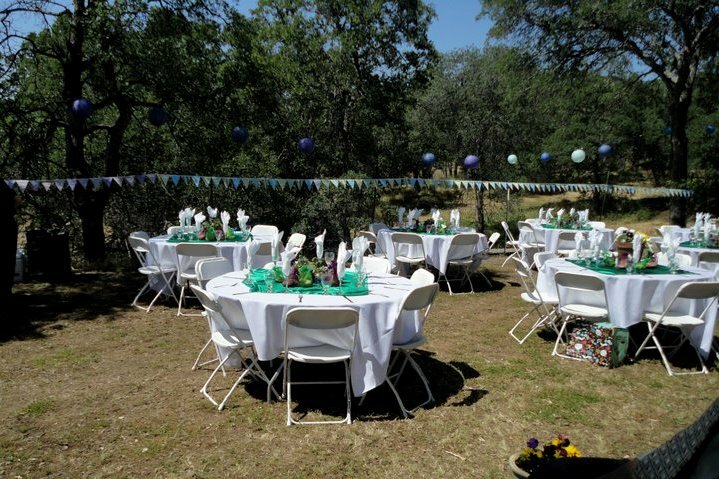 The area where our tables were set up for the reception had a fence along it as it separated the pasture from the garden area, and since it’s quite a drop down the rock wall, the fence had to stay. So since we couldn’t remove it, I decorated it! This project was very time consuming as it’s quite a bit like quilt work. A way to take a little less time would be to space the triangles further apart. I had them right next to each other. You could go either way, depending on your preference, time and budget. I found coordinating cotton quilting fabrics at Joann’s, along with remnants and a few that I already had and coordinated them to fit my colors and them. I wanted a vintage country look for this project and stayed within the color palette. 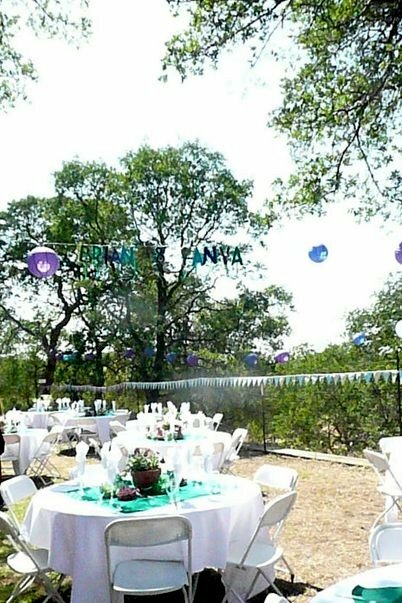 Before buying or doing anything you should measure the area where you want your bunting places so you get the right amount of materials. 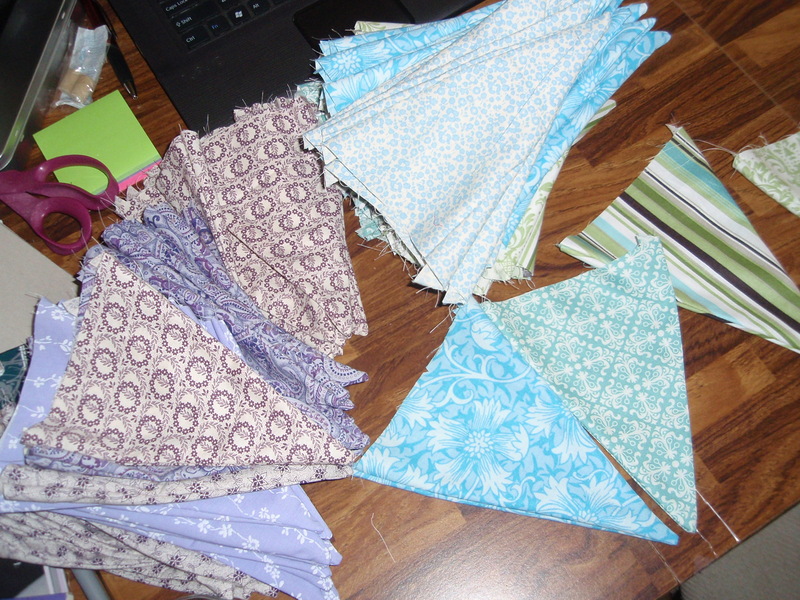 I made two buntings for my area and probably should have made one more, but after two I didn’t want to see or sew any more fabric triangles…. First, I made a pattern with a ruler with the dimensions that I wanted for my triangles. 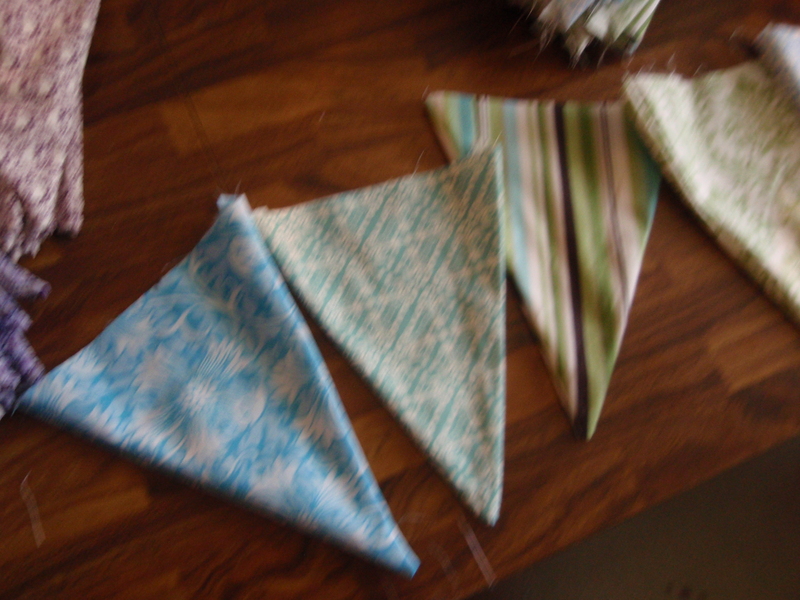 Mine were pretty small, but if you made a larger pattern you could cover the bunting more and your project would not take as long as mine did…. 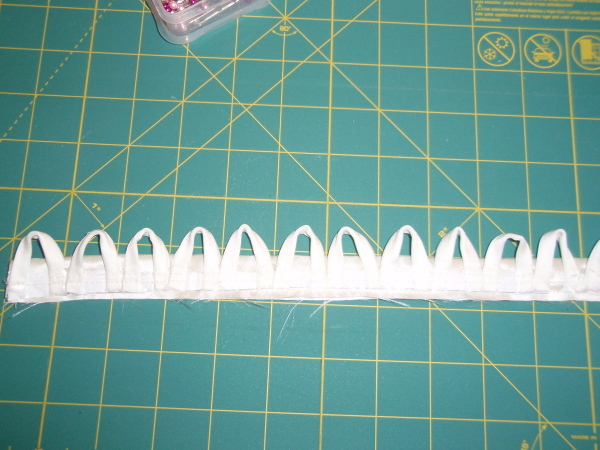 Make sure you factor in the seam allowances on each side. Next, pin the pattern to your fabric and start cutting out pieces with your rotary cutter. This is where it starts becoming like making a quilt, so if you are quilter, you are an old hand at this. You could also cut the triangles out with scissors, but a rotary cutter is MUCH faster and easier. If you don’t have a mat and cutter, I’d suggest investing in one. It’s something that you can use for many projects. I did not cut every triangle out at once as it becomes VERY monotonous and instead did several and then sewed them and so on. After cutting, take two fabric triangles with the right sides together, pin along the edges leaving the top of the triangle free, and sew. Then turn right side out and iron. You will be doing this many, MANY times…. so better off doing a little at a time so you don’t absolutely hate it when you are done. I organized each finished triangle into it’s own stack and put in the order that I wanted them, then folded my ribbon over the unfinished open top of each triangle and start pinning. 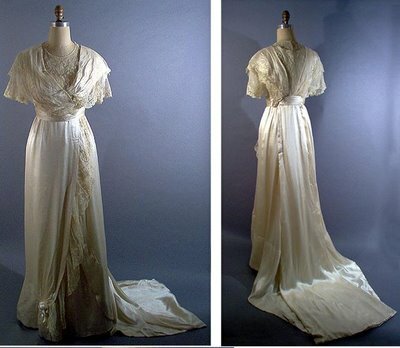 Make sure that you leave the ends of the ribbon long so that there is plenty of ribbon to tie these on. You can always cut the ends off when you decorate. I also folded in half in the ends of my ribbon and pinned and sewed that as well so that it blended well together. Sew along the bottom of the ribbon so that you also close up your open triangle and finish off your folded ribbon at the same time. (I’m sorry if this sounds at all confusing, I didn’t take any photos after this as I got too busy…) When you use up a ribbon spool, just overlap the new spool, pin and sew — it will look fine and blend in together. You can space the triangle apart as much or as little as you want.